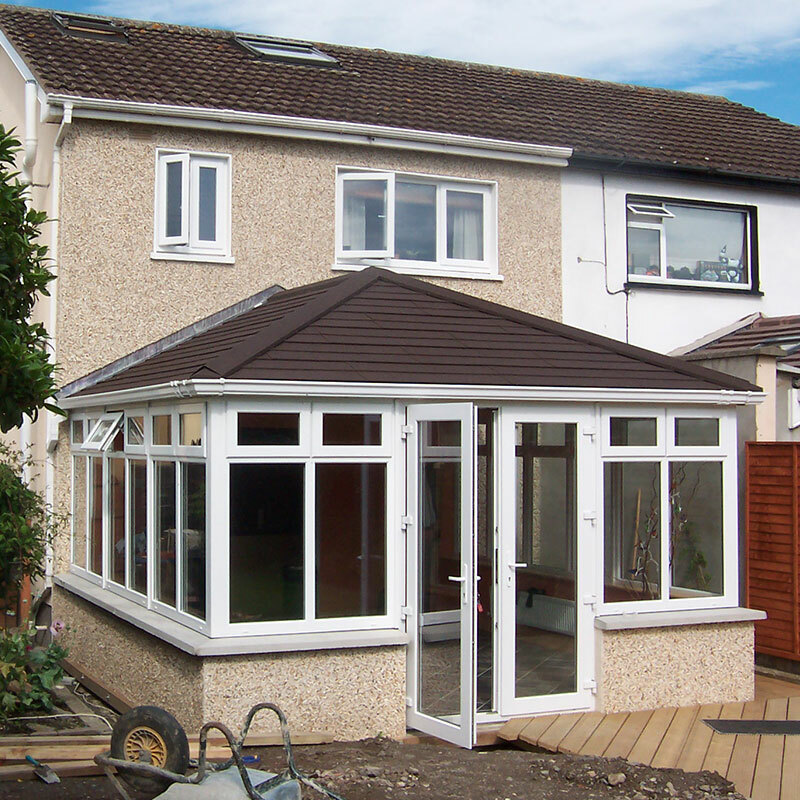 The most lightweight and aesthetically appealing tiled roofing in Bristol, our selection of conservatory tiled roofs are ideal for those wanting to reinvigorate both new builds and existing spaces. Inside a tiled roof conservatory, plastered vaulted ceilings complete with downlights helps to make the space feel like a natural extension to the home, and likewise, externally, we can find a tiled roof conservatory solution that seamlessly complements your property’s current look, resulting in a completely natural addition every time for tiled roof extensions. Tiled roof conservatory transformations from Associated Windows only take a few days to complete, meaning that you’ll be able to enjoy the complete comfort of an ambient temperature in no time at all. You can be assured that with a beautiful and efficient tiled roof conservatory, your new or pre-existing conservatory will become useable 365 days a year, being highly energy efficient to stay cool in the summer and warm in the winter. 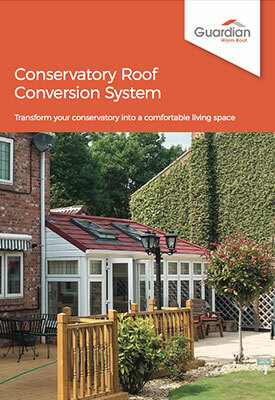 The end result is a beautiful solid roof conservatory solution that is stylish and solid for any style of home. 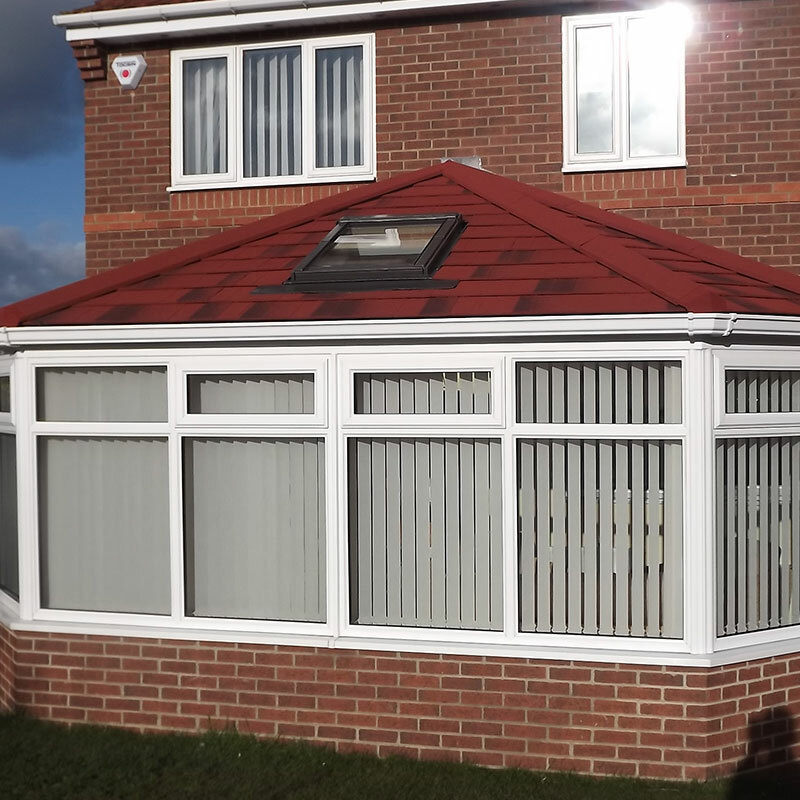 When performing a tiled roof conservatory installation in your home, we take extra special care to work with Building Control throughout, assuring that your roof easily meets all the necessary approvals for both Tapco slate and Metro Tile aesthetic options. 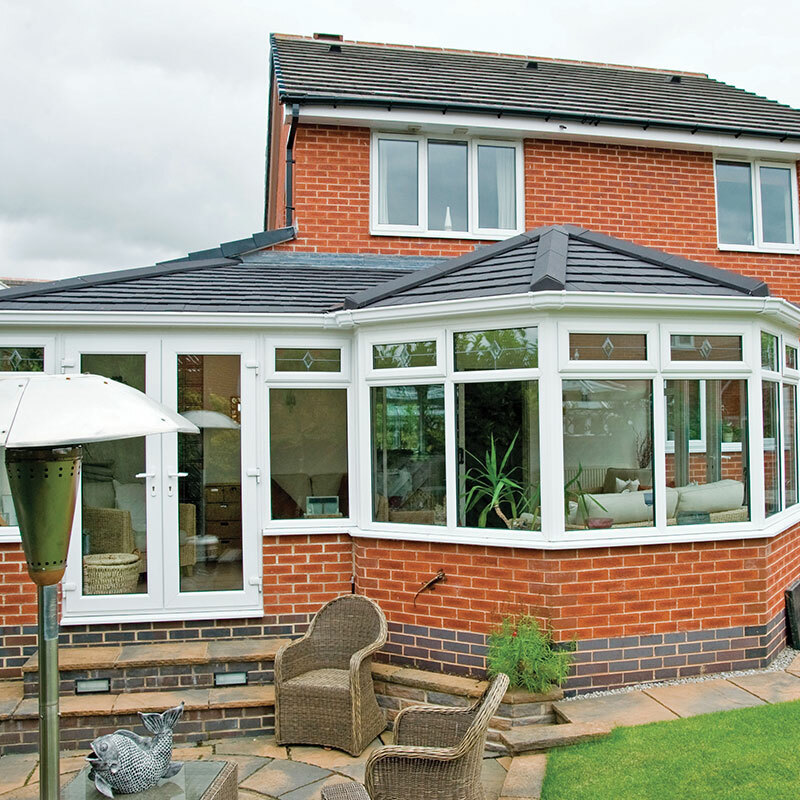 When combined with the fact that every conservatory tiled roof installation comes fully covered by our guarantee means homeowners can enjoy complete peace of mind as well as a cosy new living space. Weatherproof, distinct, and stunning to look at, our tiled roofs are available in a range of beautiful coloured finishes that enhance not only the appearance and performance of your tiled roof conservatory, but its effectiveness at creating a welcoming home environment. With tiled finishes that range from simple Charcoal to a vivid Antique Red, our colour range will never fail to complement your home’s style throughout the year. We’ll find a tile finish that complements your property’s existing style, acting as a seamless extension that never fails to feel like a true part of your home. Our colours work well with a replacement solid roof conservatory whilst also working well with more contemporary builds. 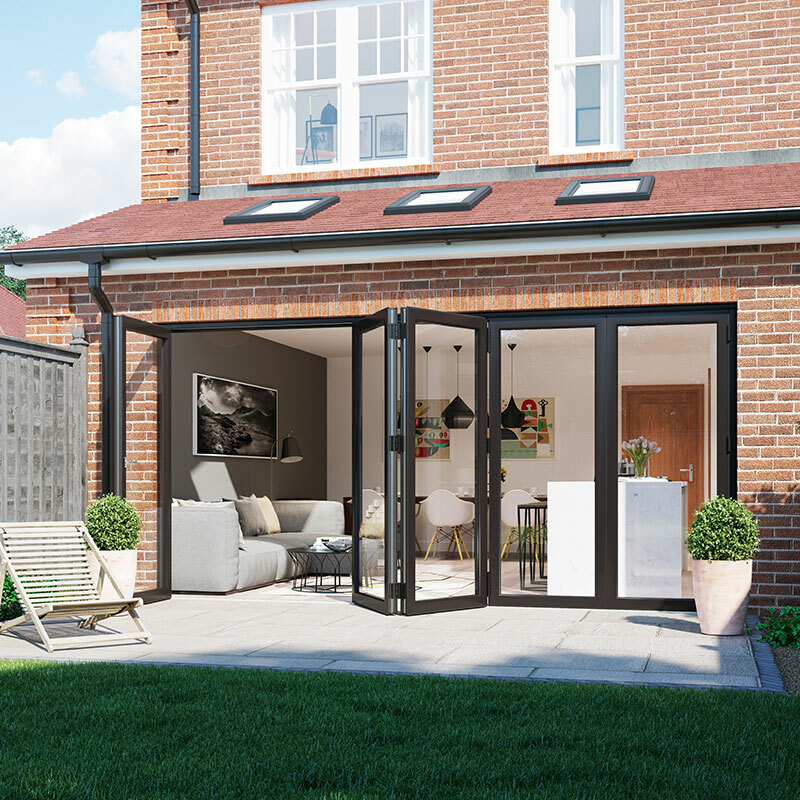 In terms of providing absolute peace of mind as you enjoy your beautiful new extension, a tiled roof conservatory offers a great degree of protection from the harshest of elements. They utilise multiple layers of materials and technology to retain heat, yet this also makes it harder for potential intruders to break in. When combined with windows and doors that feature multi-point locking, security is always present in your living space. Tiled roofs supplied by Associated Windows not only look the part, but they ensure that every extension – whether old or new – is extremely thermally efficient, comfortable and energy saving. Fully tested and approved to meet all thermal and structural standards, the combination of insulating plasterboards, vapour membrane and exterior grade plywood means that your extension always stays warm in the winter and cool in the summer. Lower U-values mean more heat is being retained within the space, keeping conservatories and orangeries warmer for longer – and because you’ll be less inclined to switch on that central heating, you’ll soon see your energy bills being reduced also. Need more information on how an insulating tiled roof can help you make the most of your home? Feel free to take a look at our downloadable brochure, containing everything you need to know.